Listening to the voice of God in community, attending to hospitality and welcome, offering sympathy, encouragement and friendship is part of our purpose at St. John’s. The Community ministries help us create a place of warmth and acceptance, binding us in membership, but also keeping us open to the stranger and newcomer. 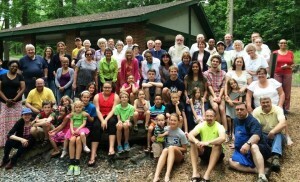 We gather after the 8:00 a.m. and 10:15 services for fellowship and light refreshments. 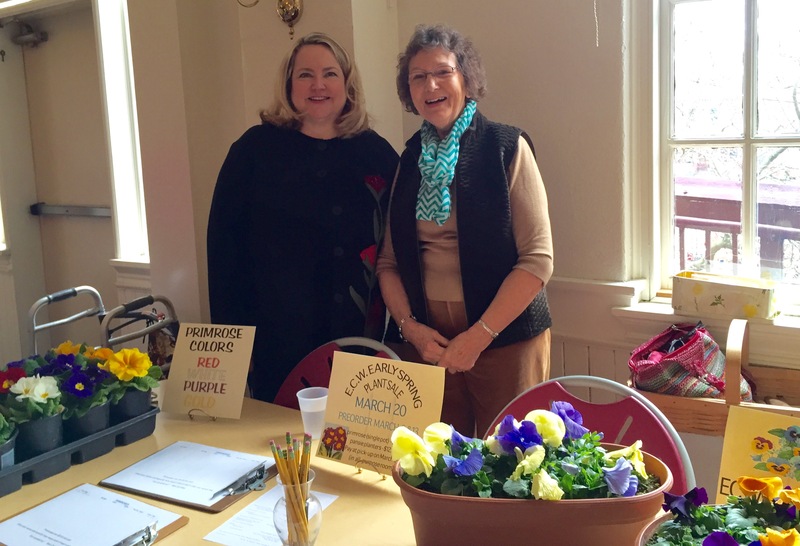 Leslie Tahsler and Sue Martin are ready to take orders for the ECW’s annual plant sale. All St. John’s women are members of ECW and invited to participate in activities and events, designed to provide spiritual nourishment and assistance with church programs. St. John’s Hospitality Committee is available to provide guidance and assist in receptions held in the Parish Hall following burial or memorial services. 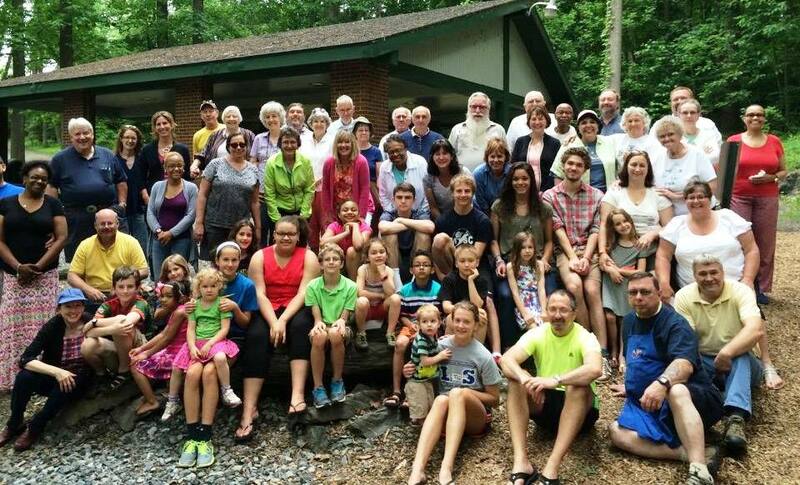 A ‘lite’ version of our fellowship hours offered Sunday mornings at 11:30 a.m. during June, July and August. 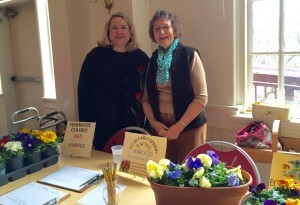 Voyagers hosted coffee hour on a recent Sunday. 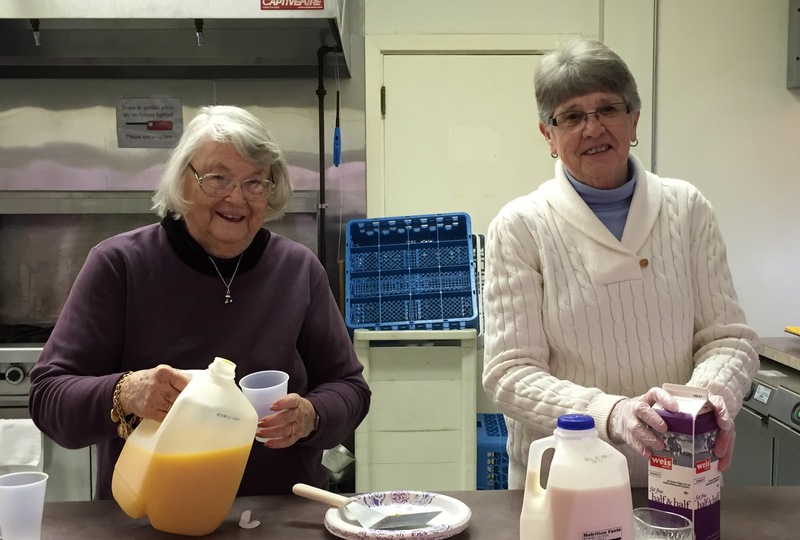 St. John’s Voyagers is a group of seniors who meet once a month (usually the last Saturday) in the Parish Hall for fellowship and to share information pertinent to their needs. Announcements about each month’s program are included in The Messenger and bulletins. All are welcome!